Our Kettering based Onsite Consultant, Peter Brading, began his journey with Siamo as a flexible worker at the very site he now recruits for. Peter was originally hired by Siamo to work as a Warehouse Picker at a large distribution site, Peter had a managerial background and aspirations to return to a similar role. Working as a picker alongside Siamo, Peter gained an insight into the operation, culture and values of the business, so when an opportunity to work directly for Siamo became available, Peter wasted no time and applied. Peter began working as a Siamo Recruitment Consultant in August 2018 with his first task to fill his previous position! – and a few others, 50 candidates per week in fact! “Being on the other side of the operation was daunting at first, but I’ve had fantastic support from across the company. Having first-hand experience of the work I am recruiting for is a great advantage as I am able to pass on knowledge to my candidates and understand how the role fits with a person’s experience and preferences. 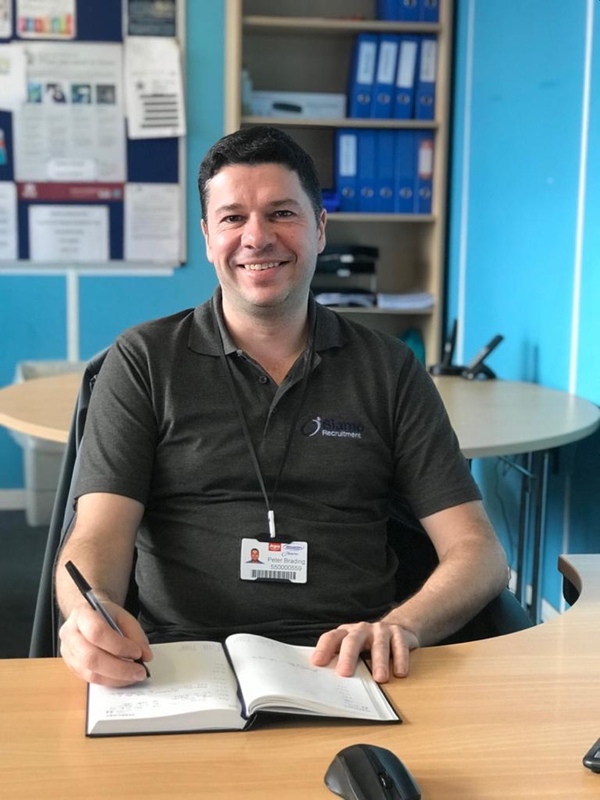 Peter is responsible for both recruitment and disciplinary procedures at the site, as well as support and screening candidates for other local sites. Following a successful period of training, Peter is about to embark on a Level 5 Leadership and Management course to further enhance his skills and knowledge.